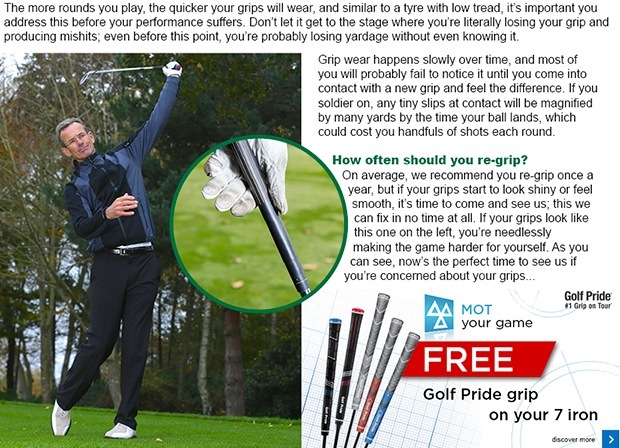 From time to time we like to share some coaching tips through our newsletters in an effort to help you lower your scores. This week you'll see we're offering some advice on how to effectively escape wet sand - which is somewhat topical, unfortunately. 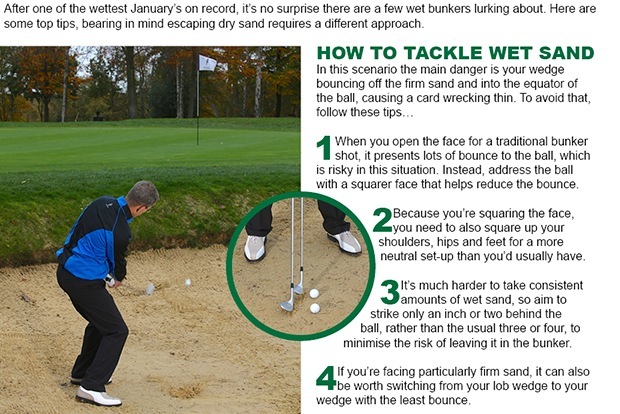 Being able to adjust to the wintry conditions is a real skill, whether that's playing the ball a little further back in your stance to keep the ball underneath the wind, or adjusting your technique to escape wet sand (below) - so we hope you find these articles useful. Of course, some one-on-one coaching may be what you need, as we appreciate that putting these tips into practice isn't always that easy, even if they make perfect sense. 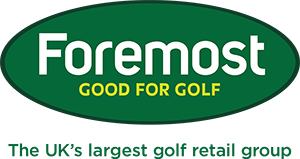 We hope you're enjoying your golf no matter what the weather is throwing at you, but do come and see us, or make an enquiry here, if you'd like some assistance. In the meantime, give the tip below a try and next time you end up bunkered in the wet sand, you might not get such a sinking feeling.